Wasserman Schultz was asked to respond to Sanders’ comments by MSNBC’s Greta Van Susteren later Tuesday. “Respectfully, to Senator Sanders, we are already a grassroots party,” she said. Fact that Dems have let DWS out of the basement to talk about grassroots after what she did to Sanders tells me everything I kneed to know. DWS tells Sanders the Dems are already a grass roots party. Her "proof" is the defeat of Trumpcare which Republicans squashed on their own! @johniadarola my question for @msnbc - how is this person's opinion even relevant? She was fired by the Dems for malfeasance, correct? Umm, I think she is the devil incarnate. She alone ruined the debate schedule. She alone stymied Bernie at every pass. 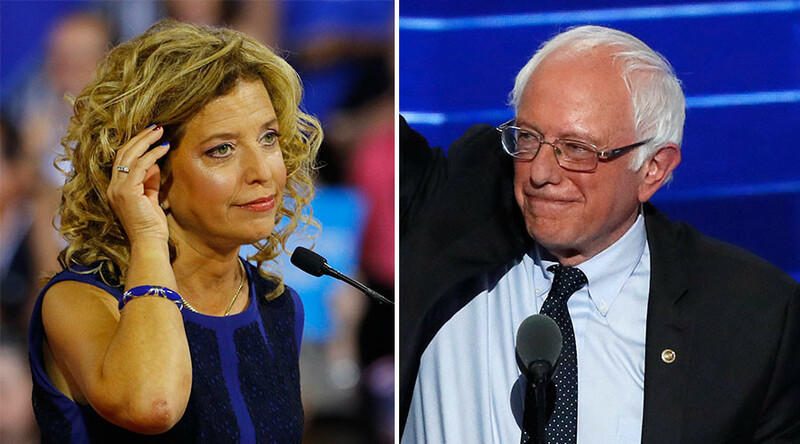 Wasserman Schultz was forced to resign as chair of the Democratic National Committee in July, following revelations published by Wikileaks that she worked to favor presidential candidate Hillary Clinton over Sanders in the primaries during the 2016 election. The Democratic Party faced sharp criticism following Clinton’s defeat. Clinton was seen as an unpopular candidate with a number of controversies but was supported by the establishment, who ignored the seemingly more progressive elements of the party. When Sanders lost the primaries, many Democrats felt betrayed by Wasserman Schultz and the party, which came under further fire when it failed to adapt Clinton’s platform to listen to the issues Sanders supporters felt were important. Sanders’ campaign called for an end to big money in politics, and for the Democratic Party to work for the American people rather than the big donors funding politicians. His campaign speeches rallied the left, and polls showed he would have been more likely to beat then-candidate President Donald Trump in the election.